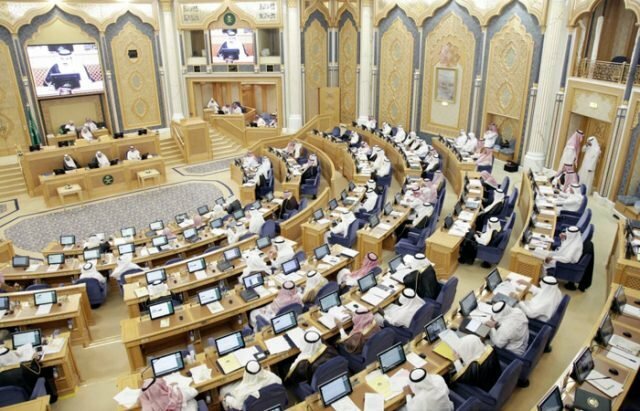 Saudi Arabia’s Shoura Council will next week study a proposal by one of its members to impose fees on expat remittances. Saudi Gazette reports that the former chief of the General Auditing Bureau Hussam Al-Anqari submitted the proposal. It includes a 6 per cent remittance fee that is collected by the Saudi Arabian Monetary Authority. The charge would then gradually be reduced over time. Al-Anqari said the measure was designed to encourage expats to spend their money in the kingdom. As part of the proposal he also recommended placing a limit on the amount of a cash expats can carry with them when leaving the kingdom. Al Angari was quoted as saying that remittances had increased from $15.1 billion(SAR57bn) in 2004 to more than $36bn (SR135 billion) in 2013. At the end of last year, Mohammed Al-Tuwaijri, secretary general of the Financial Committee at the Royal Court, reportedly said that plans to tax remittances had been put on hold. However, the kingdom has pushed ahead with plans to charge expats a monthly fee for each dependent and private sector firms higher fees for each foreign worker. As things stand these will be paid upfront during the visa application or renewal process but there have been calls for a monthly payment system to be implemented.